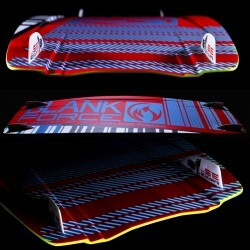 The PRO kiteboard for advanced Freetyle and high performance Wakestyle. Hybrid carbon construction. Unbeatable pop. For advanced, expert riders and competitions. Price for kiteboard with 4 x 3.5cm fins, washers and INOX screws. local_offer Take advantage of 30% discount on the HD Bindings and save 39 €! More and more riders are asking for a specialized kiteboard performing well in both wakestyle and freestyle. The ENDURO kiteboard is the favorite among our riders and our team. 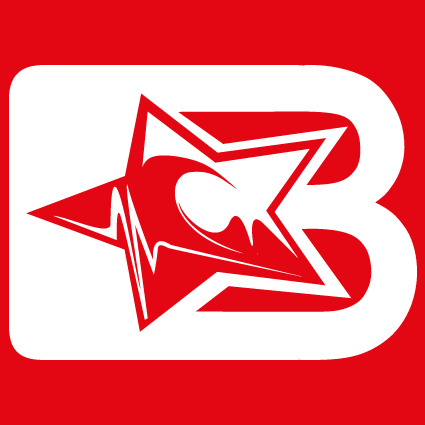 It is the ideal kiteboard to perform in competitions and to train and practice new tricks. It allows you to reach the top in all sea and wind conditions. It delivers insane energy and the pop will literally propel you into the air! In 2014 we worked all year long on prototypes and tested every modification on a cable park in Barcelona. The challenge of building the new ENDURO kiteboard was to offer the perfect balance between stiffness in the center and flex on the tips. In order to achieve this result, we developed a hybrid construction kiteboard by applying the carbon fibers to the center and the glass fibers to the tips. The concept of wakestyle bottom (the underside of the board) with grindbase (surface with improved sliding properties) as well as the deep channels allow you to ride without fins. The press flex wood core is designed to perform on ramps and the very large stance (42 - 46) ensures explosive pop. The stiffer center ensures the necessary pop to perform inverted tricks. The flex tips allow you to control the ramps and the shape in 3 levels with a flat center lets you control the boxes. In order to ensure an unrivaled grip (even without fins), the kiteboard is equipped with 2 very deep double channels along the rails. The ENDURO wakestyle kiteboard is the result of the evolution of wakeboarding applied to kiteboarding. 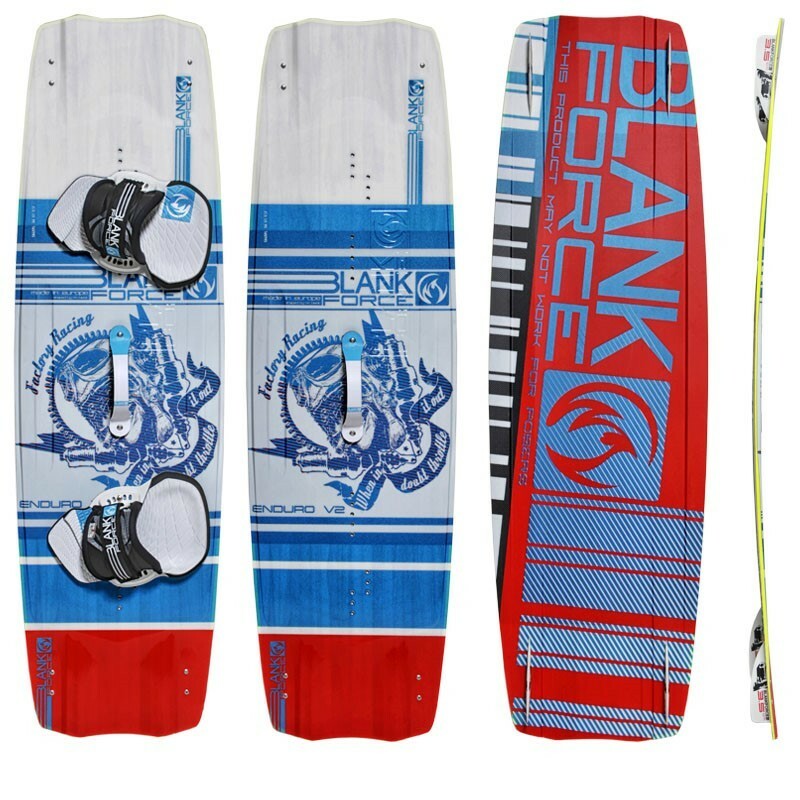 A high-performance kiteboard with suspension. 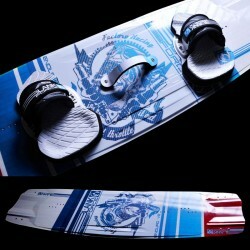 It has less scoop than the standard wakeboard but has thinner edges for more grip and carving. SLICK Base protection prevents bumps and scratches. It can be used in waterparks and on all water surfaces thanks to its embedded boot inserts. Contruction: S-Glass Carbon and Beech Paulownia wood core.